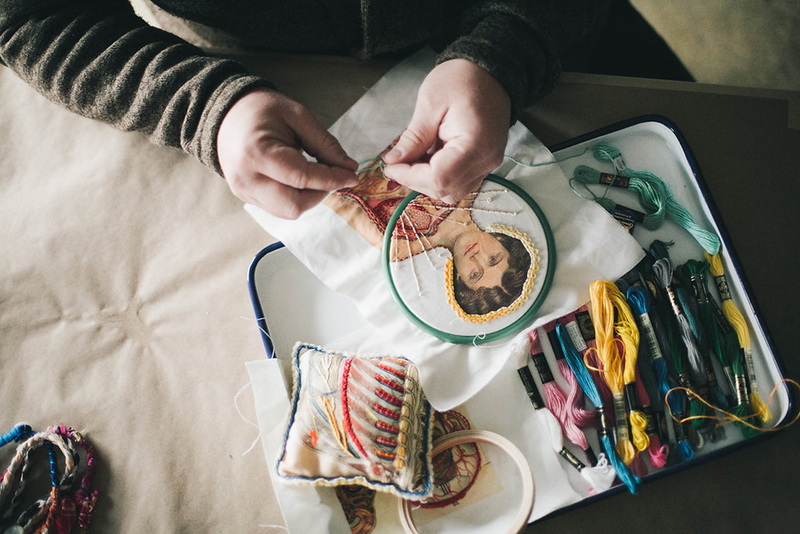 This week we’re headed to Los Angeles, CA to meet maker and embroiderer extraordinaire, Robert Mahar. Though Robert says he’s a Michigander at heart, he has proudly called the west coast home for the last 25 years and currently operates out of his downtown L.A. studio. 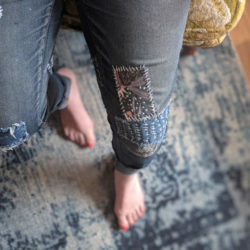 You may recognize Robert from his guest blog appearance sharing embroidery tips; or if you’re like us, you were cheering Robert on in the new crafting competition series from NBC called Making It. 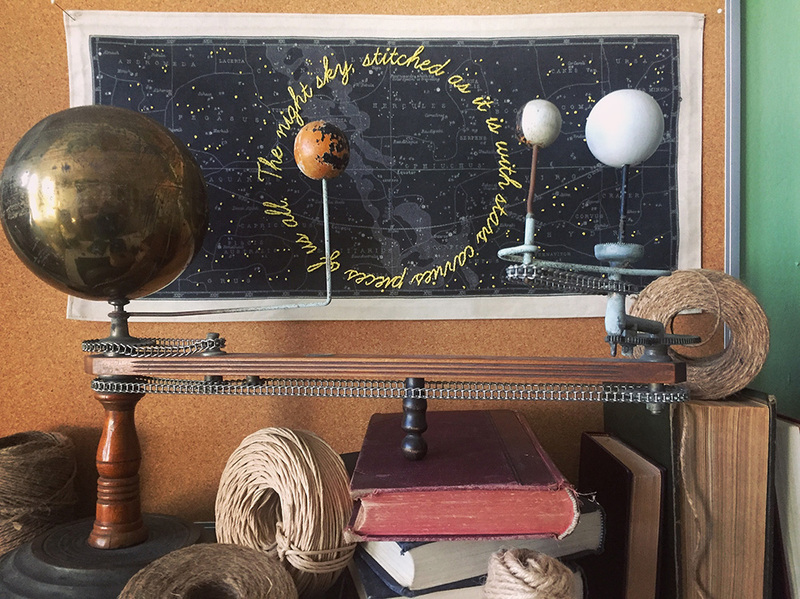 We’re so happy to have our friend here to share more about his creative background and future plans in today’s maker spotlight—we promise you’ll be ready to try your own hand at embroidery! “Coffee and emails! Doesn’t everyone’s day start this way?! 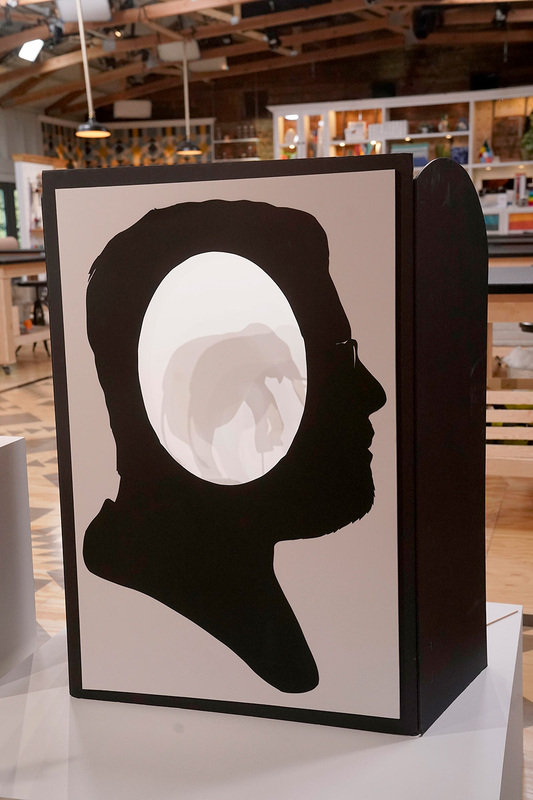 How do you feel in your creative space? What is your proudest accomplishment over the last year? 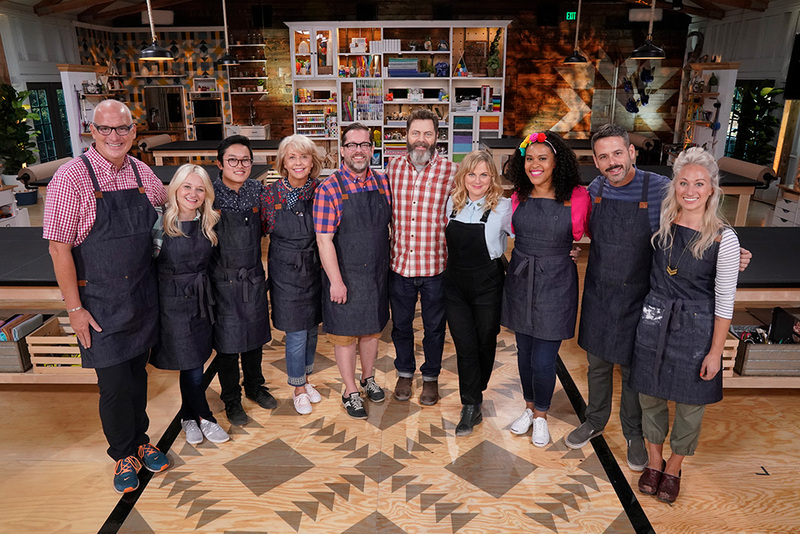 Robert brought his imagination, kindness and meticulous talent to NBC’s new craft competition series, Making It; hosted by comedic legends Amy Poehler and Nick Offerman. 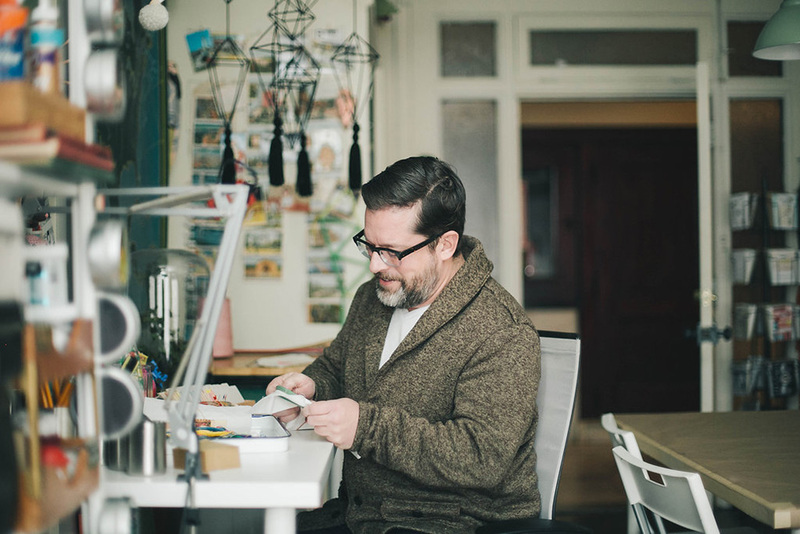 | We at Spoonflower loved watching and are so immensely proud of Robert! Subscribe to Robert’s YouTube channel, Crafted with Robert Mahar, and never miss a video! 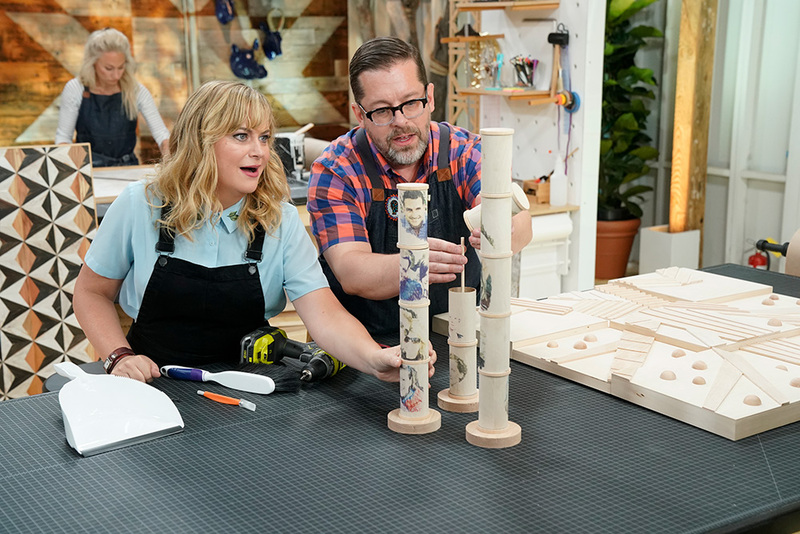 Amy looking completely mesmerized by Robert’s woodworking! We loved the shadow puppets you created on the show. How did you get into that art form? 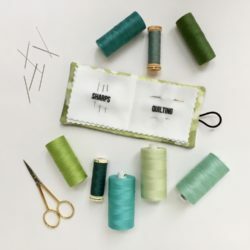 What is in your craft travel kit? “If I could have a conversation with my younger self, we’d discuss the wisdom of keeping my day job and thoughtfully easing my way into being self-employed full time. There’s a lot to be said for enthusiastically jumping into a new venture with both feet, but with hindsight, I know the road could have been smoother with a little more financial planning. We loved all the craft puns sprinkled throughout the show. What was your favorite? 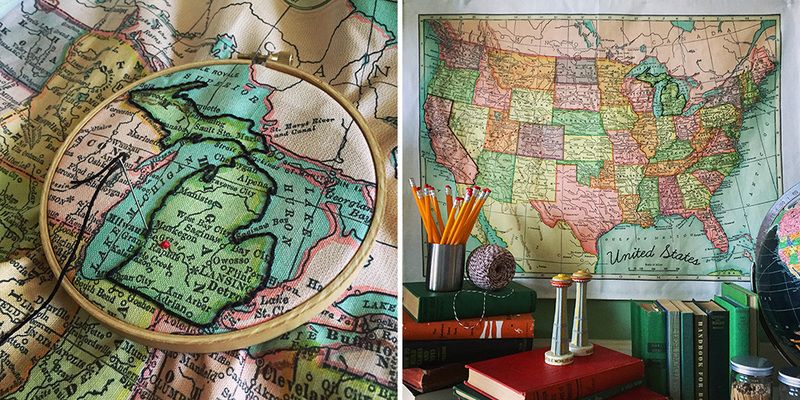 Earlier this year we had the honor of sharing Robert’s 5 Ways to Personalize a Map with Embroidery on the blog. 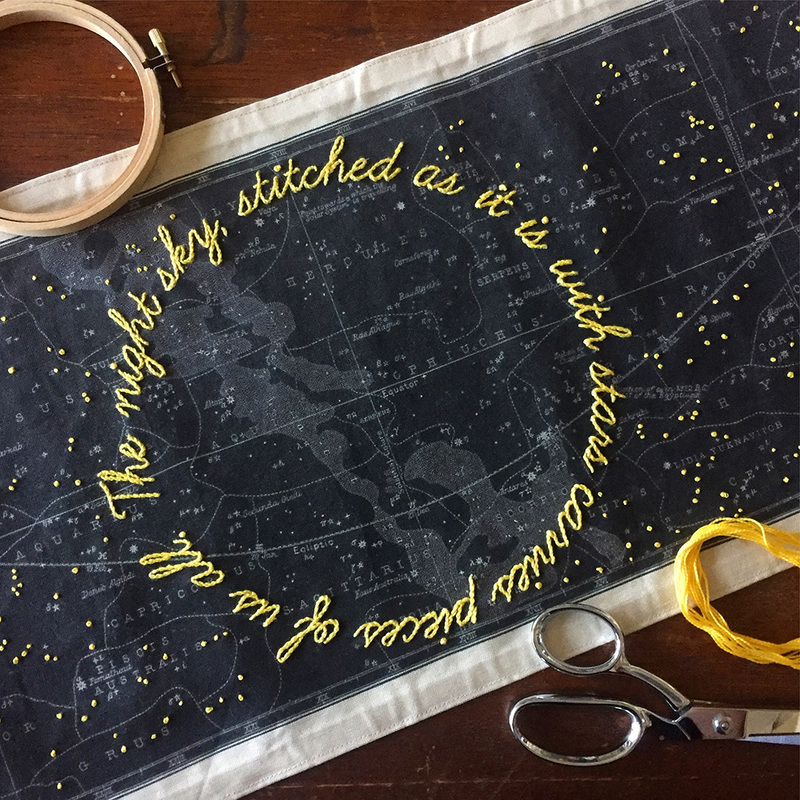 If you’re ready to learn embroidery skills and techniques from the master himself, hop on over to that inspiring post. 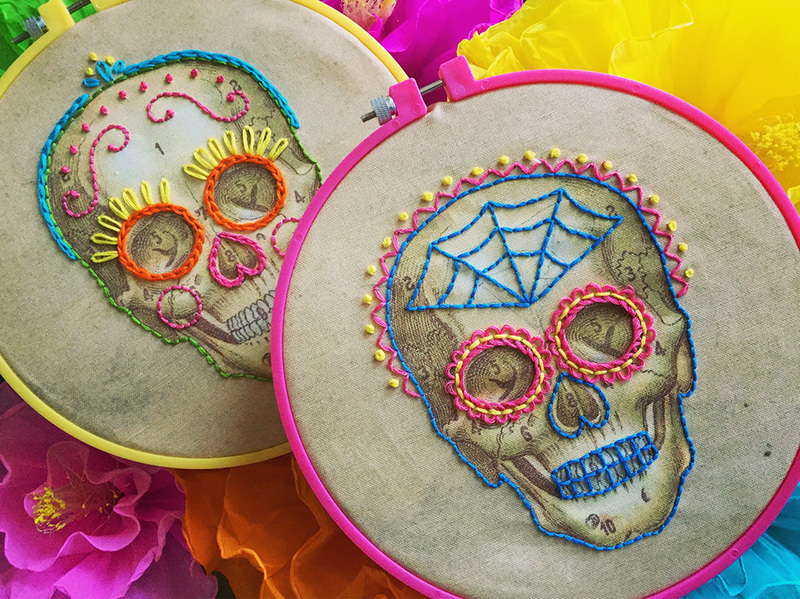 Visit Robert’s online shop to pick up all of his great embroidery sampler packs! 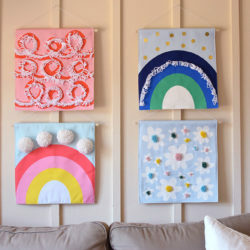 Robert Mahar is an artist and designer who develops and teaches imaginative crafts and clever do-it-yourself projects through high-quality video tutorials and in-person workshops. He is also a contestant on the new NBC creative competition show Making It. The crafty content he develops and presents to his YouTube viewers, online audience and workshop attendees is often rooted in nostalgia. 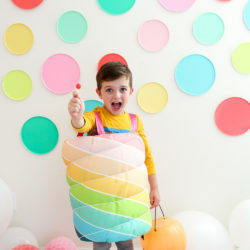 His talent for reinventing old-school crafts with a decidedly modern twist is evident in the gift line he continues to develop with Knock Knock and has gained him a loyal following. 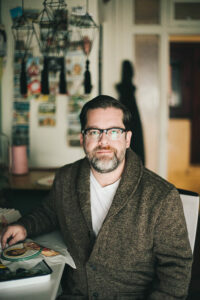 With an education in studio arts and art history, he has worked in a variety of creative fields including 13 years as an appraiser of modern and contemporary art. 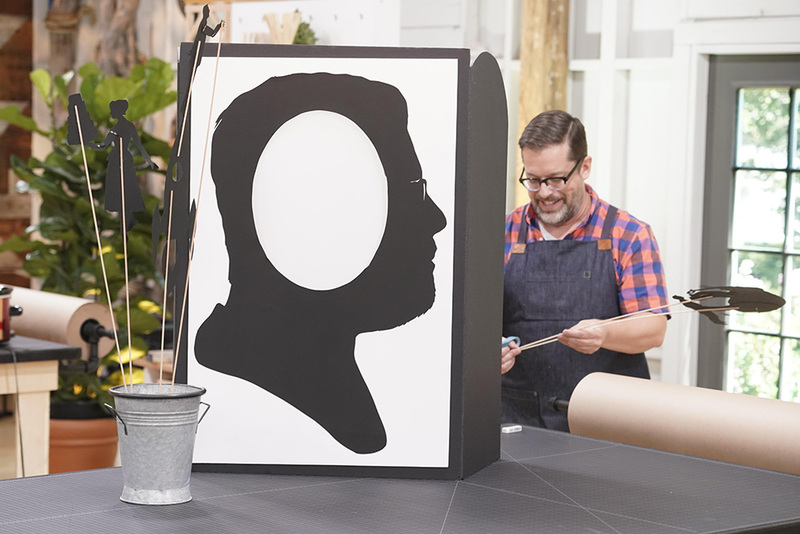 When he’s not working in his downtown Los Angeles studio, Robert obsesses over vintage craft books and schemes ways to make it big as a doughnut connoisseur. 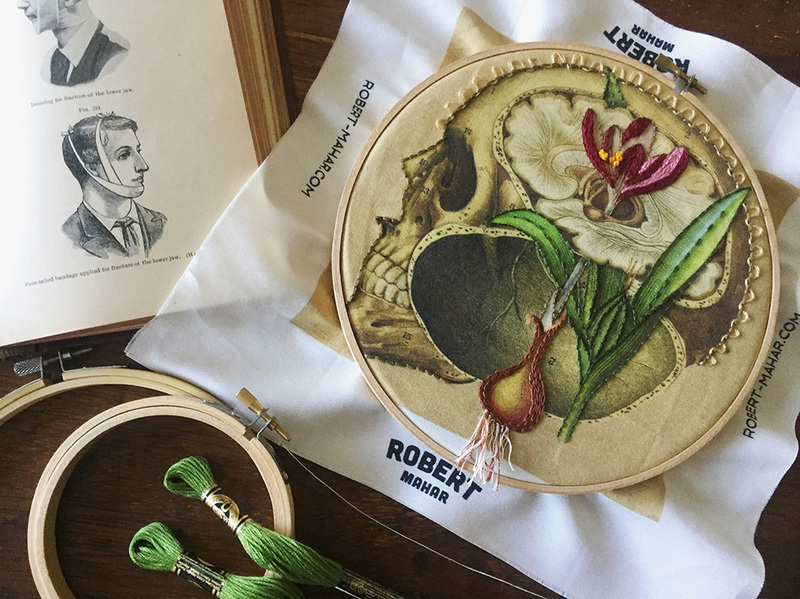 Keep in touch with Robert’s makes and be inspired via his Instagram, Pinterest and Twitter. Brilliant interview. So inspiring and some great links to resources too. Thanks! I enjoyed watching you on Making It, and look forward to receiving your newsletter. Love your map ideas. Loved this interview, and I really enjoyed watching him on the show. So much talent. 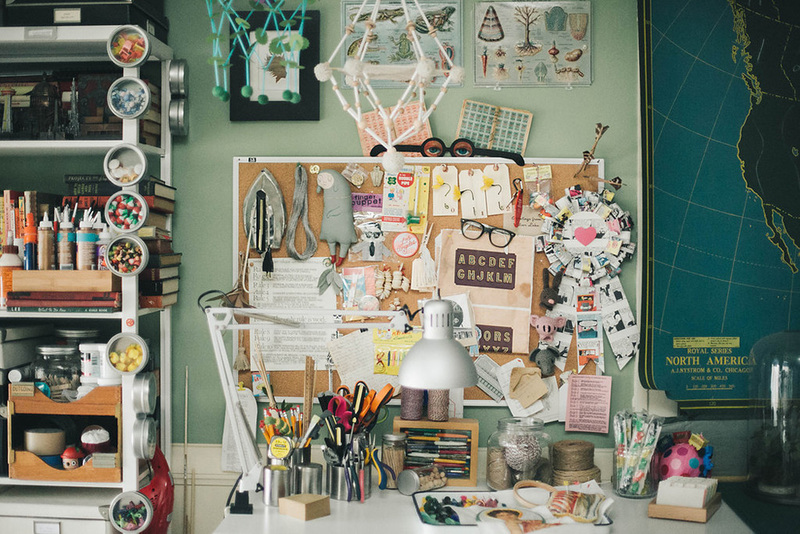 Your combination of materials and crafts is truly beautiful.